Enjoy some beach time this week. Welcome to another week. Your Daily Horoscopes go into more detail about the aspects and transits of planets through the zodiac each day throughout the week as well. Mercury and Uranus begin this week with some tension on Monday, July 11, 2016. It’s not a great day to rush into decision making. If you do, you may be surprised by results you didn’t expect or want. If you need your own personal space to think and have a sense of freedom, it may not be that easy to come by on Monday. Do be careful of what you say to others today as you may end up saying more than others want to hear. It can be difficult to get the message through to rebellious types now. If you’ve got a lot on your plate, you may feel overwhelmed and tense. It’s easy to get caught up in a lot of ideas today, but they are likely to be fleeting as your mind moves onto the next thought. A good practice of writing things down can be very helpful. If one of your brilliant ideas just isn’t working out, it may be that you need to slow down a bit and think things through more thoroughly rather than getting caught up in fast reactions. There is a revolutionary quality to this, which can be personal or on a larger scale... I talk more about this in a moment. Venus enters Leo on Tuesday at 1:34 a.m. EDT. Mercury is not far behind and enters Leo on Wednesday at 8:47 p.m. EDT. This is great for summer fun. Being out enjoying the pleasures of daytime sunshine is great for a boost of positive energy. Childlike enjoyment of fun and games can bring a lot of joy to life. Exploring creative arts and entertainment of all types is sure to be prompt you to want to express yourself. This is time to be bold with colors in your attire and feel a sense of energy in the world around you through the beautiful designs of flowers and sunsets. If you generally feel like you’re maybe a bit too much of a square, you’ll likely feel the need to stop being so perfect and judgemental about yourself and others. When clothes, art and anything with a design element is perfectly symmetrical and balanced it is likely to be comfortable, but also quite boring. It’s a good time to appreciate what is a bit more abstract and be more creative. Entertainment gets kicked up a notch. Games, movies, plays, outdoor activities are all highlighted for increased summertime fun. It’s a great time for organizing and planning as concentration and focus should be easier to come by. Do be careful with speech. If you’re feeling extra confident, it’s easy to speak in a more know-it-all, bossy attitude that can come across with a bit of a condescending tone without realizing it. On Monday Mercury and Uranus were at odds. Now it’s the Sun and Uranus that are at odds on Saturday, July 16, 2016. Uranus is the revolutionary, the rebel and is signified by the Fool in the tarot. It can really go any way, and it all depends on a mix of choice and chances. The Sun in Cancer encourages a feminine approach to life, where nurturance is prized. I spoke much more on this in last week’s horoscopes here. Uranus is in Aries, a powerful sign of initiating force, it is the sign of the warrior, while Uranus wants to break free in new ways which can sometimes be sudden and surprising. In Aries, Uranus can be highly rebellious as it seeks personal strength in revolutionizing identity. However, the Sun puts a spotlight on the need to protect those close and keep loved ones safe and secure, identifying with family. Forceful changes vs. protectionism is highlighted this week, getting lots of people speaking up about the importance of family roots and identity. Parents could find young ones finding their own voice and reason, and it’s not always easy when it’s vastly different than long standing family values. Disagreements in who you know yourself to be relative to what others identify you as can create a shift this week. Mercury and Venus meet in Leo on Saturday. Solutions are found through heartfelt dialogue. It’s a great time to go to a performance or explore the arts that focus on a message of love. Entertainment has a way of uniting hearts and minds. This can be a great day to go on a romantic date, or to intentionally conceive with your partner. It’s also a great time to enjoy the company of young ones and pets for a reminder of how important happy, carefree fun is for your life. Jewelry and sparkly, beautiful things grab the eye today. Enjoy window shopping, smelling the flowers or visiting the beach to watch the sunshine sparkle on the water like diamonds. Warm, colorful, bright fashions are best suited to the week. It’s a great time for reading at the beach. Break out the sunscreen and have fun. The Sun, Mars and Chiron are positively aspected in a Grand Trine in Water on Saturday and Sunday. This can signify new approaches that focus on healing unconscious behavior and underlying issues so we can all feel more secure in our lives. There is a spiritual, karmic quality to these planets connecting now where the nurturing quality of the water element is highlighted. It is when you are willing to take action to show that you care that matters most. It can be an important time for those with addictions to take charge to heal their life. Exercise as a replacement for addictive behavior can positively influence the mind and spirit. It’s important to care for yourself, and if you can’t kick a habit for yourself, caring about family and those close should be considered. As we look at where actions and behavior is rooted from we are able to step closer to healing it and creating the positive changes necessary. This is both on personal levels as well as in larger scope in society. On a larger, political scale, Pluto, ruler of Scorpio, retrograde in Capricorn reminds us that change at the higher levels, within the structure of society, is necessary for the people to feel cared for. A long term process of change is happening in society, but it is slow. Pluto is the slowest mover in the zodiac and will be in Capricorn for years to come slowly but surely getting rid of the old ways. With the Sun in Cancer, people’s need to protect those close is at the root of changes necessary. Saturn, ruler of Capricorn, retro in Sagittarius speaks to world culture, and race. Mars, ruler of Aries, brings revolutionary Uranus into the fold to initiate change in identity. The Sun, ruler of Leo, draws Mercury and Venus in, reminding us of the power of media to influence hearts and minds. Chiron in Pisces, reminds us that ultimately it is the spirit of the collective that needs to be healed. Peace is one of the highest goals of humanity, but gets put to the side for so many reasons. If we can achieve it in our personal lives, we are one step closer to achieving it with the lives of those around us. Overall, this week offers a step towards understanding where healing is needed. On personal levels, it offers the opportunity for fun in the sun, which you should take advantage of to make your life feel brighter and uplifted. What you think about and do with your day is ultimately up to you. Focusing on being creative and enjoying life’s entertainments may seem trivial and superficial at times, but it is in enjoying the simple pleasures of life that can open a pathway to bringing more peace into your heart and to the lives of those around you. Life should be about having good times. Enjoy it while you can. The weekend can be great for being at the beach or going on a road trip. Carve out some time for you to enjoy the summer sunshine. Aries: Though the beginning of the week could feel a bit tense getting started, you’ll likely find your groove mid-week. Make some spare time for yourself. Go out on a date or enjoy a movie with friends anytime this week. Life is meant to be enjoyed. Work can be blessed for you this week, but you also need some sunshine to feel happiest. Money matters, especially related to spending on home, will do well with a closer look at priorities. It’s a good time to start exercising at home to create a better state of mind. Taurus: You may have some sleeping issues this week. If you’re tired or have insomnia it could take extra effort to get yourself on track. Other people’s dreams are not your own. If you’re sharing your lofty dreams with others and they don’t get it or disagree, it’s ok they have their own opinion, but you don’t need to explain yourself to the enth degree. Having fun, getting creative at home is good for you. Making home colorful and beautiful cheers you up. It’s a great week for date-night movie nights, and singing in the shower. Enjoy water and sunshine most of all this week. Gemini: It’s not a great time to be discussing money matters with friends, or to be lending money, especially if the requests are sudden, spontaneous or for a new idea that doesn’t feel right. There are great conversations available to you this week. Pick up the phone to gab, or go see a performance. Browsing art galleries and studios are recommended for inspiration. 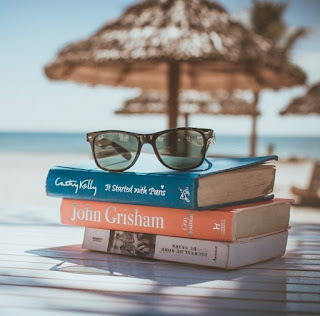 Relaxing at the beach with a good book or chatting with friends is good for you. This is a great week for you to shine a spotlight on your income and work routine. Making a plan of action can put you in a good head-space. Cancer: If something doesn’t feel right with the way things are going in career, you may need to question how your chosen direction does, and does not, reflect who you truly know yourself to be. Sudden changes and new information can have you feeling a bit aimless. Making money in creative ways is highlighted for you. Intelligence and beautiful design often go hand in hand and this week they can give you clues to how to secure more income. Remember to have fun with life, including work. It will help you feel the vitality needed to manifest success. Being creative heals you, attracts luck, and helps you develop wishes you can get excited about. Traveling can bring you much wisdom. Leo: If you don’t feel like you’re living the dream you had hoped, frustration can be on your mind, or show up in your dreams this week. You could be feeling an emotional connection to home and family that prompts you to implement good habits and behavior now. Mercury and Venus both enter your sign this week. This is great for speaking more lovingly of yourself and treating yourself well. You would enjoy beauty treatments a lot this week, and exercise is good for your esteem. Being artistic and wearing beautiful clothes and jewelry can help define you in a positive light. Though you don’t have the perfect dream life (who does? ), you can certainly find ways to feel good. Find some time to enjoy the beach. Virgo: Friends and money don’t mix so well this week. If you have someone that needs a quick loan, it could end up putting you in a spot that doesn’t feel so great. If you need a loan for a sudden expense, try to make it minimal so it doesn’t put you in an uncomfortable place. Money aside, good conversations with friends and those with similar values is good for your well being this week. It’s a great time to be with friends, siblings or cousins to catch up on old times and reminisce. Talking can heal relationships and bring them to a higher level. Day or night, creativity, beauty and bright colors are set to inspire and enliven you this week. Libra: If there is a conflict between your relationship and your goals or your career, it’s probably going to come on suddenly, but can dissipate just as quickly. However, even though it may be brief it can leave things changed. You may need to step away rather than discussing the issues, but if the issue is a lack of communication you may need to speak up. Career issues could prompt you to look for more positive solutions to bringing in an income that you’re more excited about. This is an excellent week to go to the beach with friends. Activity that works up a sweat helps you feel grounded. Scorpio: If your actions aren’t leading to the results you want, and aren’t giving you a sense of hope, you could be prompted to change course. Though you may have a vision and an idea, not all ideas work. The solutions are found when problems arise. The ideas that show up early in the week can lead to a new appreciation for career possibilities. When it comes to career you get to be make the choices. Go for what you’re most attracted to. What calls you and excites you? The more you think about what you’re going for, the more real it becomes. Strength, stamina, vitality and resilience are yours. You can put that energy toward any goals you wish. Visualization and creativity is healing. Sagittarius: If you don’t have the resources to create what you want, it can be frustrating. You may have sudden inspiration this week but realize you don’t have the tools, or even the money to make your vision a reality. Children could also bring unexpected expenses. If expenses at home are getting to be too much, it can leave you wondering what fun you’re missing in life. You do have a huge resource of imagination to draw on now, and that can give you a real pick up of esteem. Far away places, arts and culture can teach you a lot of wisdom this week and inspire you in mind and body. If possible, try some ethnic foods, or a foreign body treatment like acupuncture or thai massage for an inspiring new perspective. Meditation is comforting and healing. Capricorn: Spontaneous decisions about your home life can impact your relationships. If someone wants to move in or out, or if you do, it can create stress. It is relationships with those that are driven and have a good head on their shoulders that benefit you most now. When you want to do research, inquire, or discuss a subject, make it fun and enjoyable. Films, television and the arts is the best route to learning this week. Be aware that anything that is beautiful is likely to attract your eye this week, perhaps even to such a degree that you spend too much on credit for it. Connecting with those you have much in common with will lift and heal your spirit. Aquarius: You could realize that your habits and the work you do in your day to day life, isn’t bringing you the comfort you thought it would. Doubts could arise when synchronicities just aren’t lining up as expected this week or are pointing you in a different direction. This could prompt you to take a new approach to your goals and rethink your schedule. However, you may end up prioritizing fun above everything else as the week continues. We all deserve to have fun and enjoy life. Putting your mind towards relationships and enjoying the pleasures in life will lead you to your next steps. If you are offered gifts, accept them with delight. Pisces: You may be tempted to buy the most beautiful things that catch your eye, but then realize that prices just keep going up. You’ll need to make smarter choices with a focus on your future security blanket of income and may need to say no to the beautiful piece of art, outfit, or home decor. As the week continues, it’s a good idea to stop and smell the roses as a regular practice in your everyday life. Enjoying the sensation of sunlight on your skin, and the fragrance of flowers in the air, does wonders for your mind. Dramatic, colorful, smart clothes can turn heads. The sun glistening on the water at the beach leads to contemplation. Artwork made with passion can inspire and heal you on subconscious levels.